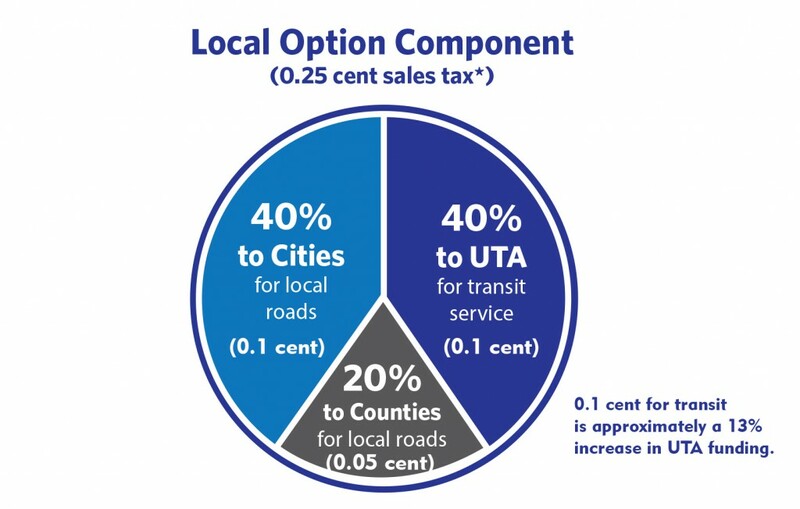 In the November elections, Utah County residents will get to decide if they want to support a sales tax increase to fund transportation projects. The .25 of a cent (that’s a quarter of one cent, not twenty five cents) tax can be used for active transportation projects including bicycle infrastructure. The county is currently asking for your feedback on what needs you would like to see prioritized should the tax pass. Not sure? One big problem were having in Provo is a lack of pedestrian and bicycle access to the FrontRunner station. Union Pacific trains block access over multiple intersections, sometimes for up to an hour. That means that people trying to get to the FrontRunner station using any method other than a car are marooned as they watch their FrontRunner trains pull into the station and leave without them. Anyone that uses the train regularly can attest that pedestrians and bicyclists will often climb the Union Pacific trains, jumping onto the tracks to the South, just so they can make it to the station. Kids jump trains on their way to school, bicycle commuters hoist their bikes over, business women are climbing trains in their heels. Obviously, this is not a good idea and is likely to get someone killed. But, the current situation regularly forces people to either arrive by car or be an hour or more late to work / school. The more people that talk to UTA about this problem, the more likely we’ll end up with a timely solution. Please take the survey here and share it with your friends. There is an overpass just one block away. I’ve gone over that many times.